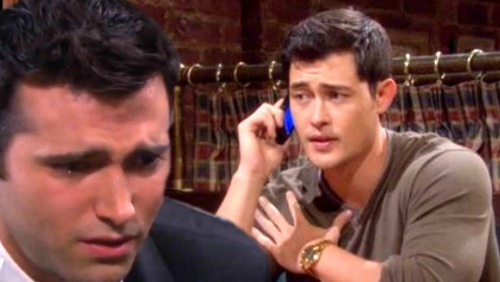 Days of Our Lives (DOOL) spoilers tease that Paul’s (Christopher Sean) good deed could cost him. He hates that Ben (Robert Scott Wilson) opened old wounds for Sonny (Freddie Smith), but the damage is done. 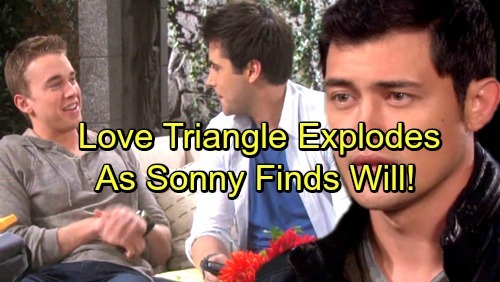 Now Sonny can’t rest until he learns the truth about Will (Chandler Massey). Instead of fighting Sonny on this, Paul is shifting into investigation mode. Deep down, part of Paul probably wonders if Ben might know what he’s talking about. Another part of him is hoping he can disprove Ben’s claims and get the wedding back on track. Of course, digging up Will’s grave would be a nice start. After Lucas (Bryan Dattilo) refuses to budge on the idea, Days spoilers say it’ll be time for Sami (Alison Sweeney) to get involved. Paul and Sonny will hope that Sami can provide permission to exhume Will’s body. Unfortunately, Sami won’t buy what Ben’s selling. It looks like she’ll also be reluctant to dig up Will’s corpse, but she should cave sooner or later. Paul and Sonny may suggest that Sami doesn’t have anything to lose. If Will’s body is there, at least they could all put this ordeal behind them. However, DOOL fans know Ben’s story is true. Will isn’t in that grave at all! Once Sonny realizes that, nothing will stop his mission to find Will. Paul could be surprised by just how determined Sonny becomes. He’ll sense that his fiancé is quickly slipping away. Days of Our Lives spoilers say Paul will lean on Chloe (Nadia Bjorlin) for support next week. Chloe’s been interacting with some unexpected characters lately and that’s nice to see. DOOL’s head writer, Ron Carlivati, has been letting people mix it up a bit. It’s always fun to watch the usual bubbles burst. Days spoilers state that Paul will open up about his struggles. He’ll insist that he wants Sonny to be happy, but that could mean losing his own joy. Paul may feel guilty for hoping that Will and Sonny’s reunion doesn’t work out. Chloe might contend that Paul is simply human. It’s only natural to cling to the love he found with Sonny. Nevertheless, the heart wants what it wants. If Sonny’s heart wants Will, there’s not much Paul can do about that. He needs to prepare himself for the possibility of watching Sonny and Will reunite. Do you think Sonny belongs with Will or Paul? It sounds like an exciting love triangle is ahead. We’ll give you updates as other Days of Our Lives news comes in. Stay tuned to the NBC soap and don’t forget to check CDL often for the latest Days of Our Lives spoilers, updates and news.